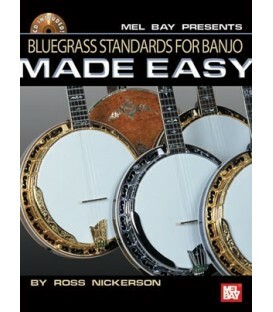 Find bluegrass banjo supplies that make playing and learning banjo easy. 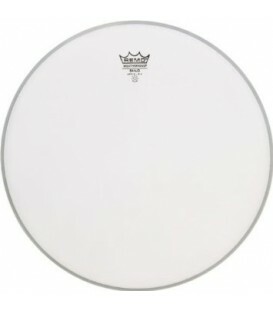 We have the lowest prices and reasonable deals on equipment. 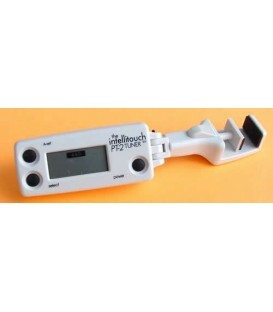 Get ready to play with our banjo tuners, banjo tuning pegs, banjo pickups, and banjo tone rings. 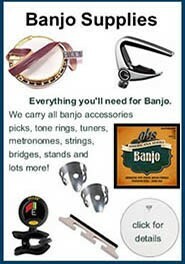 Our banjo set up section has everything you need to get ready to go, as well as maintain your banjo. 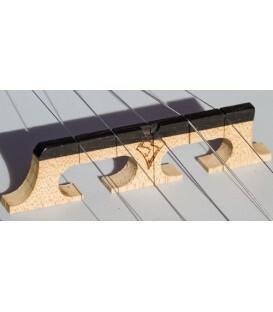 Once you are all set up and ready to play, you can use our banjo straps, banjo picks, banjo bridges, and more. 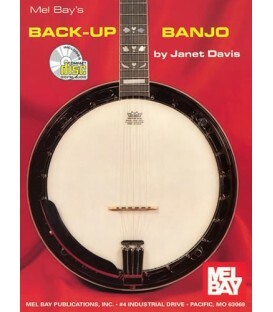 Our Music stands and metronomes can help you learn to play the banjo, along with our “Slow it Down” Software. 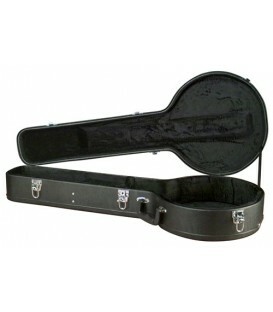 Store your banjo securely with our banjo stands and banjo cases. 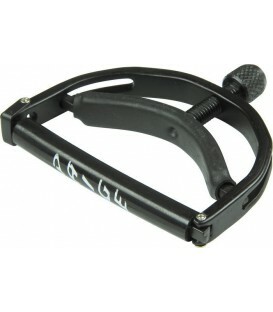 Make playing your banjo easier with a banjo armrest and banjo picks. 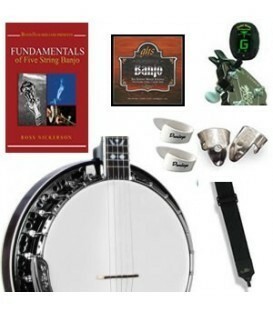 From your first session to your last, we pride ourselves on providing high quality banjo accessories to help you along your journey to becoming a great banjo player! 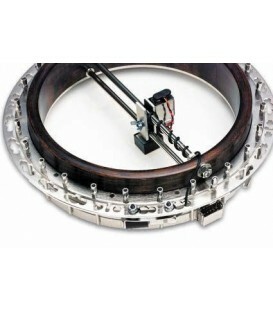 Find the best banjo bridge to use for your banjo at Banjoteacher.com. 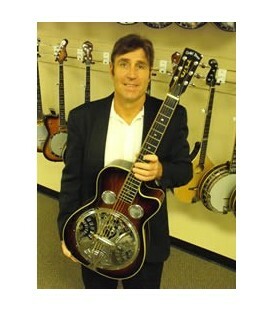 We carry bridges that work for gibson mastertones, stelling, deering, nechville, ome, bellbird, burlile, gold tone, goldstar, morgan monroe, recording kings and any 5 string bluegrass banjos, 4 string banjos or even six string banjos. 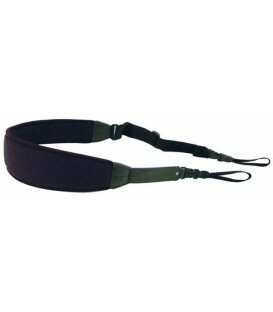 BanjoTeacher.com carries a large variety of banjo straps that are specifically made for banjo carrying only banjo straps that we've actually used and can recommend. 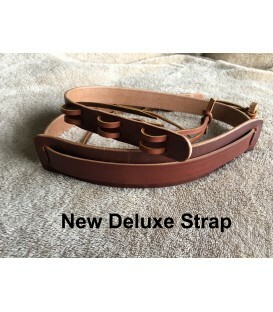 We have leather banjo straps, quick release straps, low priced banjo straps that have leather tabs so there is no metal to metal noise, cradle banjo straps and custom made banjo straps. 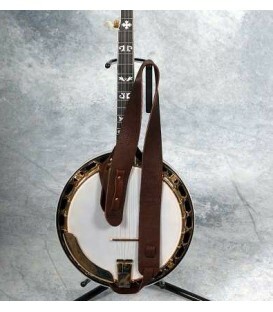 You have to have a good strap for a banjo, one specifically made for a banjo and attach it correctly to your banjo. 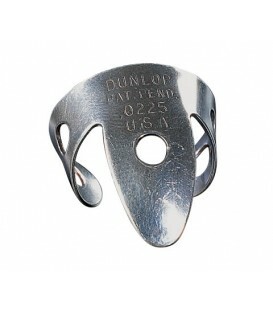 We carry a large selection of thumb picks and finger picks for the banjo. 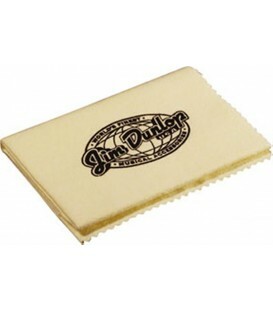 We feature comfortable coated for comfort banjo and finger picks. 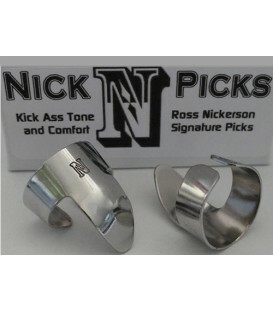 Check out our cobalt coated special designed custom picks made for Ross Nickerson called "Nick Picks" and read reviews of them. 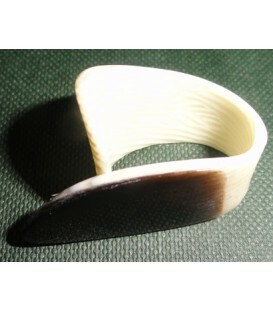 We also carry left handed thumb picks, clawhammer picks, blue chip thumb picks, women's sizes, cobalt coated picks, child size and smaller size thumb and finger picks. 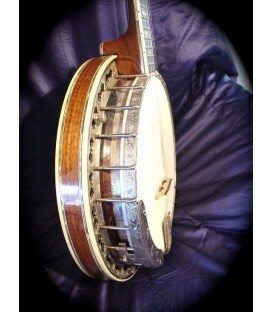 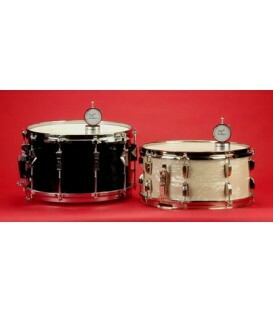 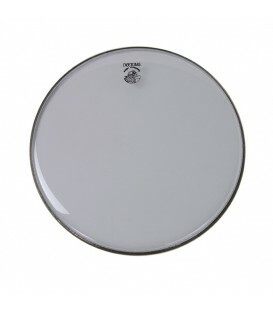 We have a large selection of banjo replacement parts. 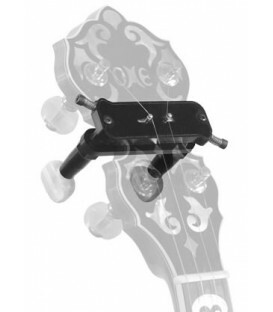 We stock armrests, tailpieces, replacement tuning pegs, tuning buttons, tone rings, bridges, tension hoops, resonator hardware, replacement brackets for tightening the banjo head, head wrenches, coordinator rods, truss rod covers for banjo, shoe and brackets for open back banjos and other important parts to the banjo that have been lost or need to be replaced. 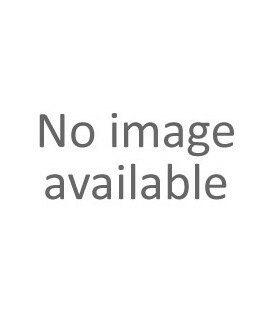 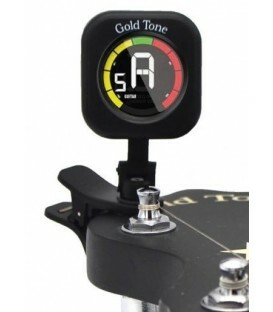 In this category we have tuners made for banjo, clip on electronic tuners for banjo, standard electronic banjo tuners that do not clip on, and a tuner that combines an electric banjo tuner with a metronome. 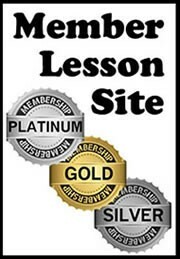 Use the navigation links on the left for the different categories. 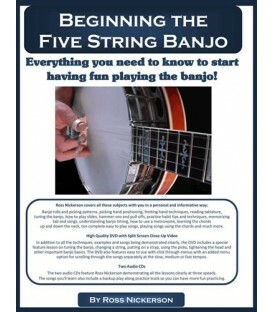 Here is beginner banjo instruction for the notes to tune a banjo too. 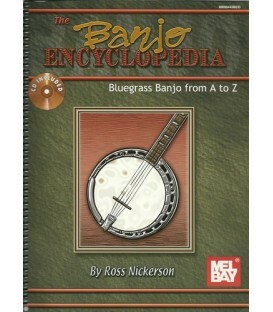 Listed are many of the most common ways to tune a banjo depending on what type of banjo it is. 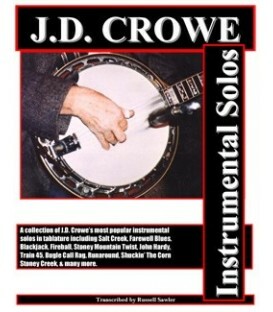 Banjo tunings included are 5-string banjo for standard bluegrass Open G tuning as well as C and D tuning, 4-string tenor tuning and plectrum tuning, 4-string "Chicago" tuning, 6-string banjo tuning, old time banjo tuning like double C and G modal and the low open E Banjo tuning like John Hartford used. 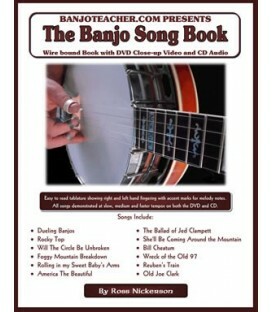 Free Video on How to Tune a Banjo. 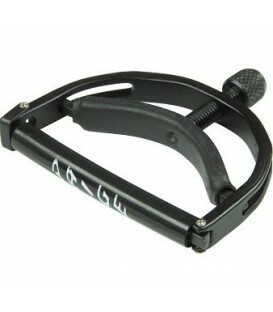 These models of capos I carry are the best types of capo for banjo and what I recommend. 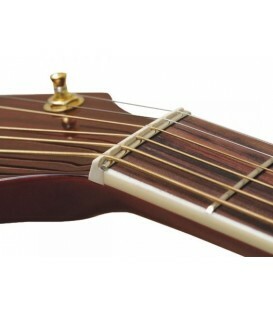 Some models you can easily adjust the pressure on the strings which causes minimal need for returning. 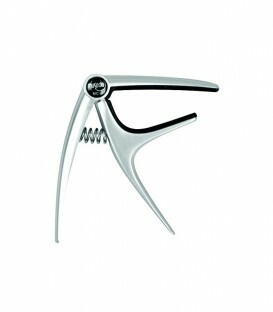 If you prefer the quick capoing action of the spring loaded capo The Paige banjo capos are really good quality and hold up very well. 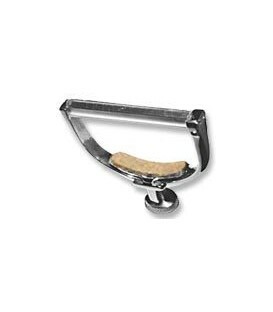 We carry 5-string capos, capo spikes and sliding capos and some practical advice for when and when not to use a capo and returning the banjo after putting a capo on. 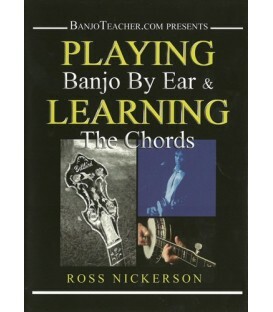 Learn good timing on the banjo with hand picked metronomes by Ross Nickerson and BanjoTeacher.com. 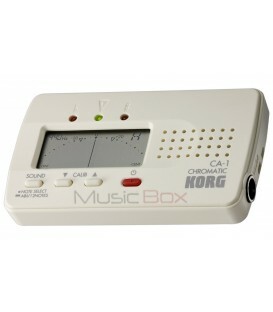 Featuring quartz brand metronomes, Korg TM60 Metronome and Tuner, Snark Touch Screen and one of my favorites the Matrix MR 800. 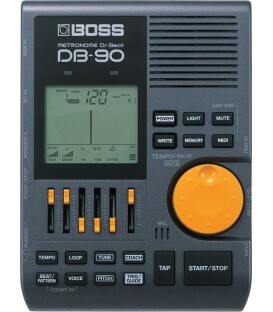 The MR800 is loud and sounds like a drum stick hitting a block of wood which works best for me, it also has a headphone jack. 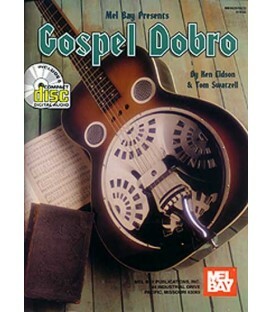 We have the cadillac of banjo metronomes, the Boss DB-90 and the other high quality Boss Banjo Metronomes, the Boss DB-30 and Boss DB 60. 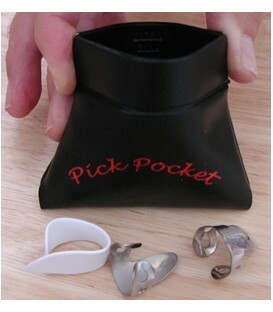 Those are easy to use and even easier to carry along in your pocket or banjo case and feature a headphone jack. 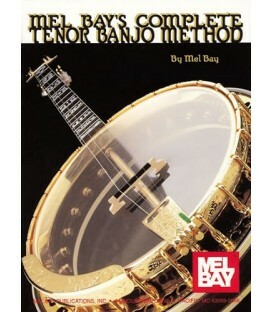 Here is a banjo metronome video to check out. 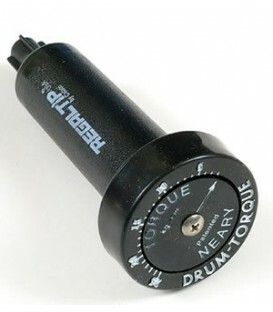 Click on our tuning peg categories or scroll down to see all the planet peg replacements we offer. 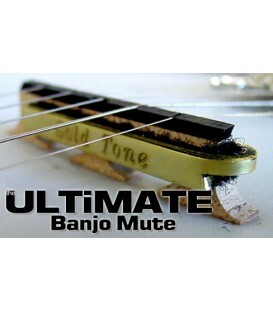 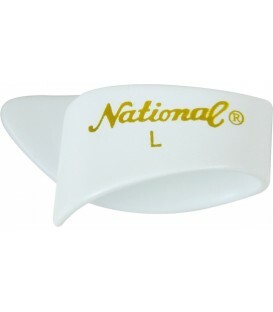 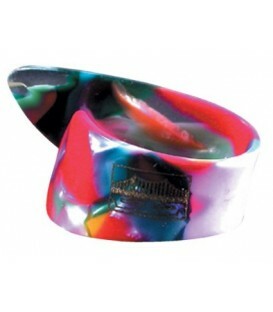 We carry the best Banjo Mutes for your money at BanjoTeacher.com. 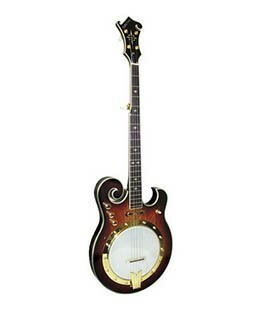 Face it, banjos can be a bit loud sometimes, especially when you are practicing and when you need to practice quietly a mute is a great idea! 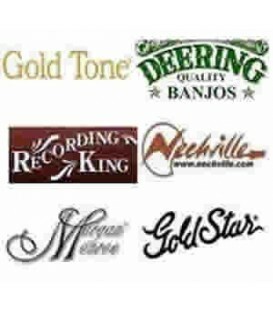 We carry a variety of mutes from high end Mikes Banjo Mutes which are amazing Goldtone and Deering mutes. 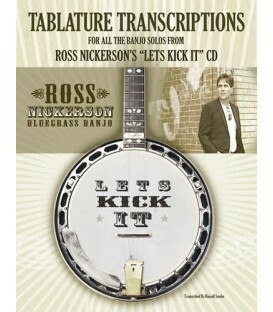 All of which Ross recommends. 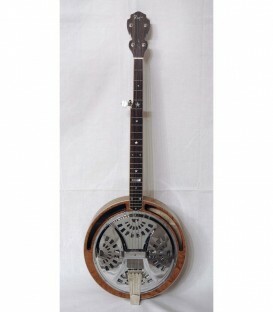 We feature Banjo Stands for resonator banjos and open back banjos that are sturdy and strong enough for a banjo with a low center of gravity for safer use. 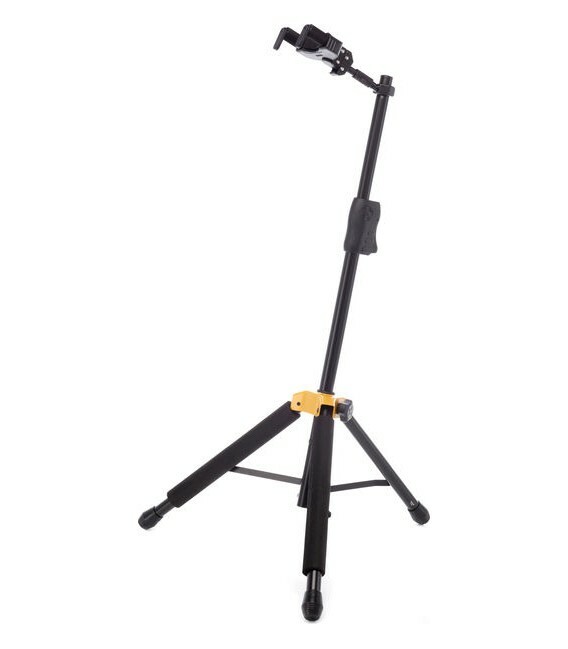 There are many types of stands for banjo you could use but we only carry banjo stands that we test and know will work for banjos. 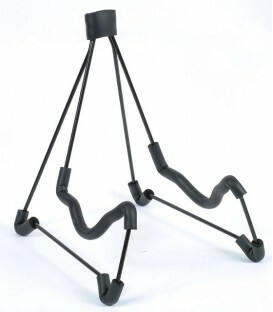 We have wood banjo stands as well as strong steel constructed stands for banjo. 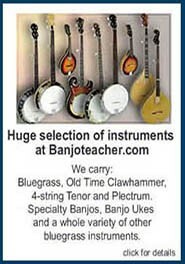 We also carry wall hangers for hanging your banjo on the wall in case that could work better for you too. 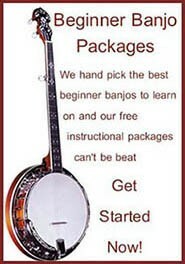 As a banjo teacher the way I see it is if your banjo is easier to grab you may practice more which anything that encourages practice is always a good thing. 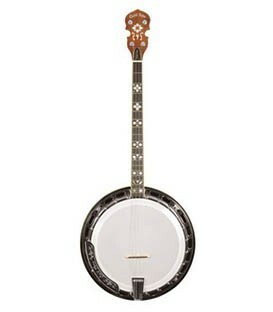 Always use caution when using a Banjo Stand or Wall Hanger though. 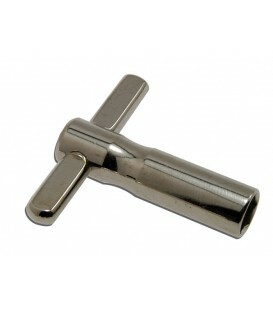 Use in a safe place with no swinging doors, dogs or small children! 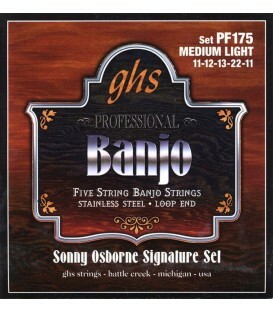 We carry banjo strings for worn out strings or to replace a broken banjo string. 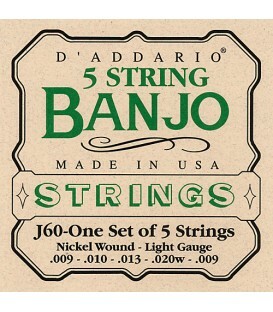 We have 5-string banjo strings, 4-string tenor banjo strings, 4 string plectrum, 6-string banjo strings and also ball end banjo strings. 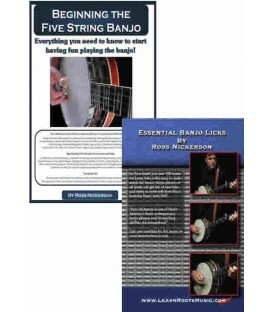 Buy more than one set of banjo strings and get a discount. 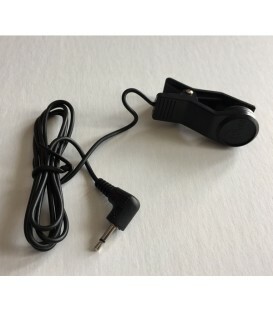 It happens AUTOMATICALLY when you add sets to the cart. 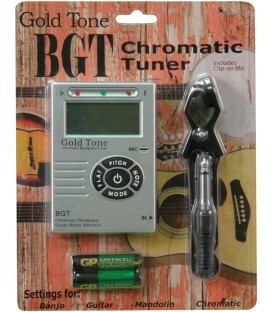 That applies to any combination of banjo string gauges or sets too! 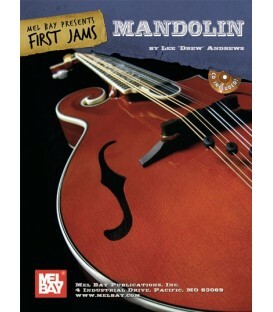 5th G, 4th D, 3rd G, 2nd B and 1st D.
6-string banjos normally tune to standard guitar tuning but many open guitar tunings work great on the six string banjo too like open G and D for 6-string banjo. 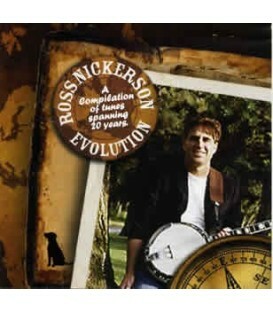 Here is a free Ross Nickerson video on changing banjo strings and how to remove the resonator and tighten the banjo head too. 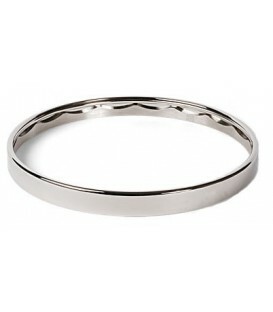 Buy more than one set or any combination and still get a discount AUTOMATICALLY! 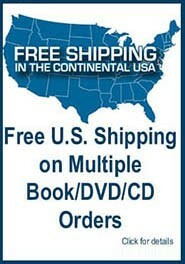 No matter if you purchase 1 set or 5 sets the shipping cost stays the same. 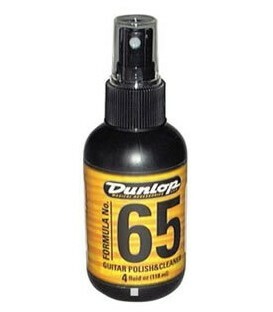 You always need more strings so I would get an extra set or two and save. 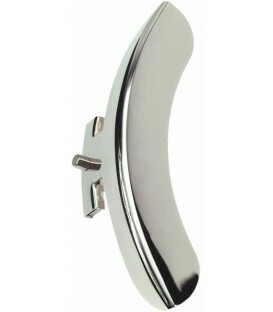 Nickel, Wood, Gold, Stainless, Chrome and adjustable "one size fits all" Banjo Armrests. 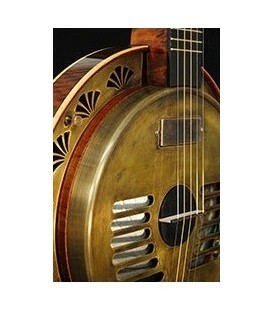 We stock banjo armrests for bluegrass banjos like Goldtone, Recording King, Gibson, Deering, Nechville, Stelling and other Mastertone style resonator banjos. 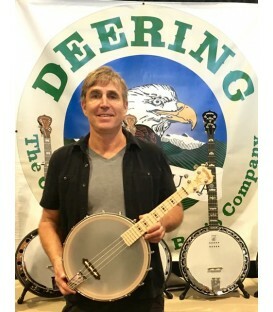 We also have the Deering goodtime armrests, old time open back banjo armrests and armrests for child size or travel banjos. 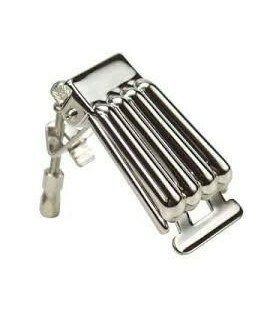 Here is a good assortment of banjo tailpieces I recommend as replacements or upgrades to your present tailpiece. 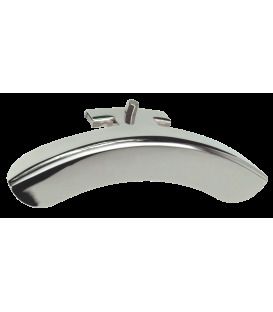 The top banjo tailpiece styles to choose from, kershner, straight line, waverly, presto models, tailpieces found on vintage banjos. 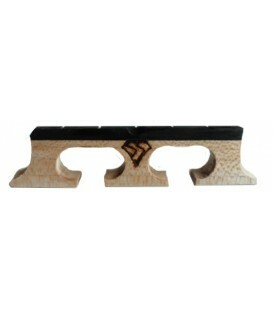 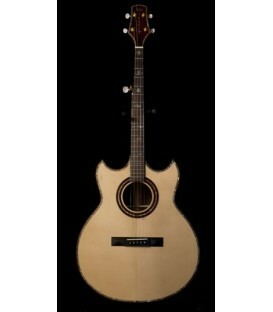 We carry 4-string, 5-string and 6-string tailpieces. 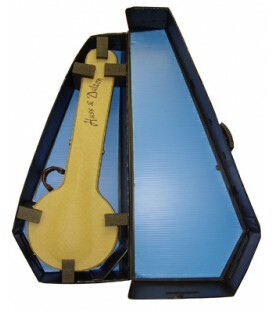 We sell hard shell, gig bags, shoulder bag banjo cases with back pack straps, soft shell banjo case, light weight banjo cases that protect like a hard shell and banjo flight cases too. 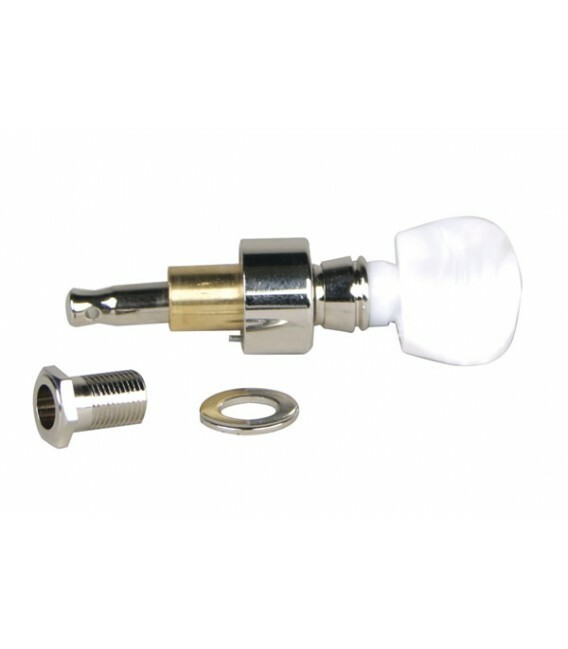 BanjoTeacher.com sells Remo banjo heads, banjo replacement heads, banjo tools and banjo wrenches in all sizes for tightening a banjo head. 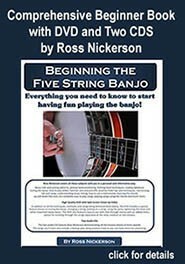 See lesson from Ross on how to tighten your banjo head. 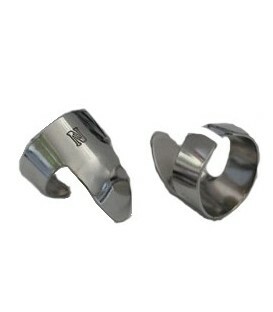 We have 1/4 inch, 5/16 and 9/32 size banjo head wrenches in several different varieties. 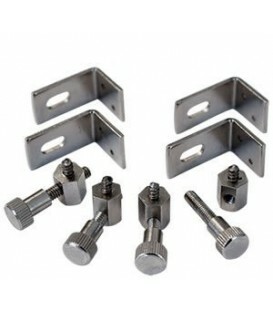 Knowing the right wrench to buy can be tricky, don't hesitate to email or call us. 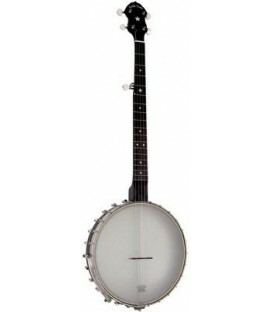 If you tell us what banjo you have, we can tell you the right size to buy. 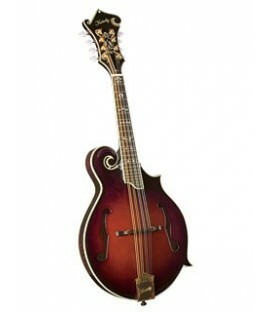 1/4 inch is for most Gibson Mastertone Style bluegrass banjos with a flathead tone ring and one piece flange. 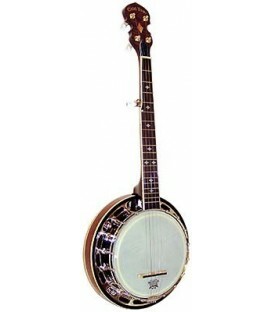 The heavier bluegrass banjos and other bluegrass banjos that normally cost say 500.00 and up. 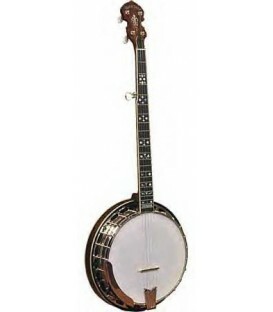 9/32 is the common smaller size for beginner banjos with a hoop ring or no tone ring and aluminum pot "bottle cap" 30 bracket banjos. 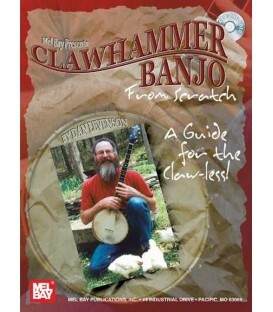 5/16 is the larger size used for clawhammer and old time specific open back banjos with the shoe and bracket system for tightening the head. 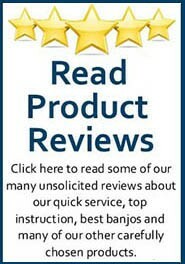 BanjoTeacher.com carries Banjo Pickups that we recommend from personal experience in using them. 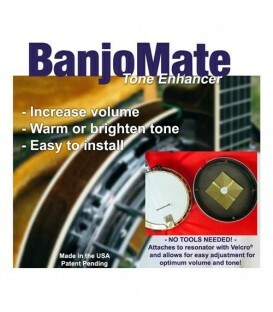 All of the pickups we have don't affect the tone of your banjo when you are not using the pickup. 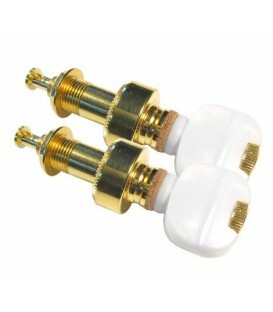 We also have pre-amps you can use to boost and adjust the tone on banjo pickups. 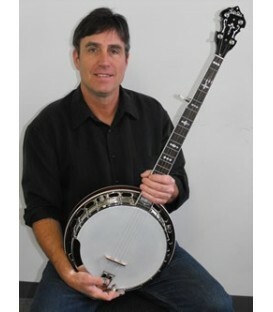 Get your banjo and banjo head clean with cloths, polish, fast fret and finger ease. 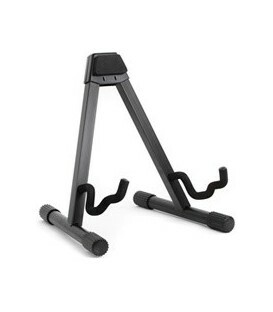 We also carry string changing stands and other banjo maintenance accessories. 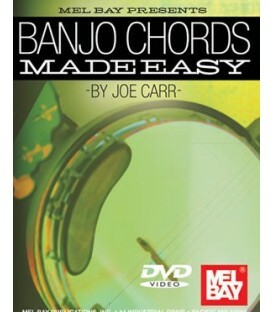 We have a DVD available to help you learn to do your own banjo set up and maintenance. 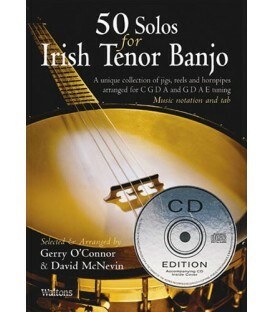 Slow down banjo music on CDs and MP3s with Song Surgeon or banjo videos from You Tube, DVDs or other streaming video with Video Surgeon without re-tuning. 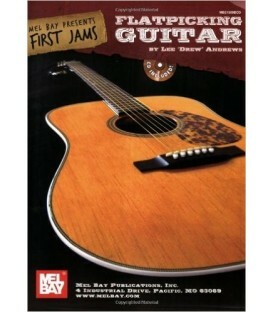 This makes it incredibly easier to learn and play along. 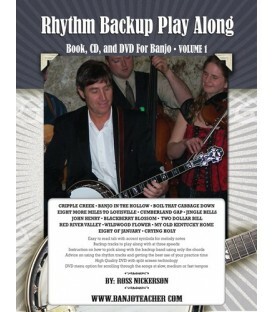 You can even change the key to the song without re tuning your banjo.The Song Surgeon software works on both songs from CDs or MP3s and the Video Surgeon software works on DVDs as well as you tube videos or other streaming videos online on our computer. 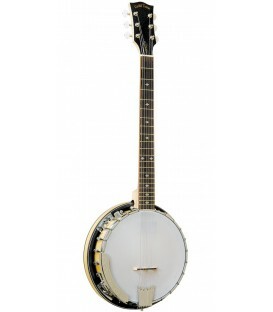 Hearing banjo licks slowed down with no pitch change is the ultimate learning too and works fantastic for learning those hard to get banjo licks. 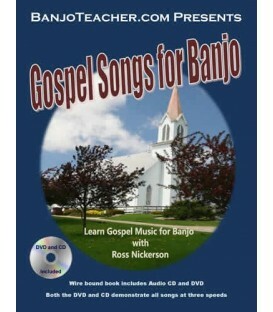 Now you can play along at a slower speed too and learn banjo licks you never thought you could hear. 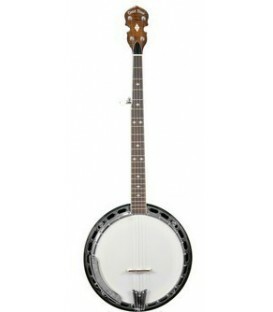 We feature replacement tone rings to upgrade you banjo sound and clarity by Sloan Tone Rings, Huber Tonerings, Nechville Tone Ring, JLS Tone Rings, Recording King Tone Ring and Pots,White Layde Tonering replacement, replacement Arch Top Banjo Tone rings, Tubaphone replacement tone ring, GoldTone Tone Ring and Dannick Tonering. 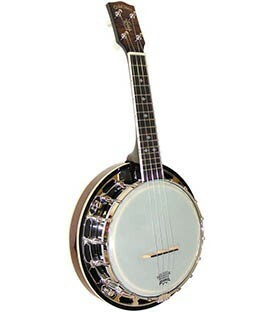 The tone ring is like the motor on your banjo. 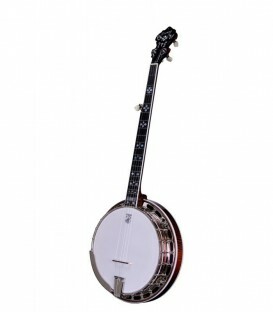 Replacing your motor by upgrading your banjo tone ring can significantly improve your clarity up the neck, sound better with a capo on, make the bass/4th string come out and provide better overall response and "good" volume. 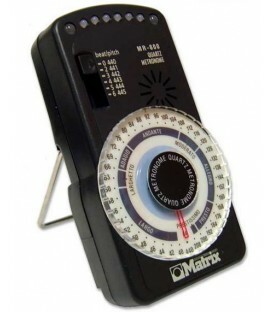 If you need advice or direction, give us a call. 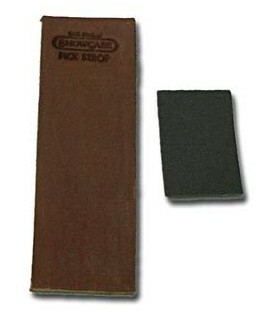 1-866-322-6567. 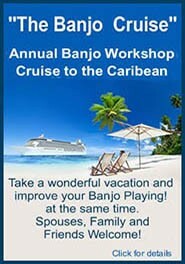 Only somebody who plays banjo will answer the phone. 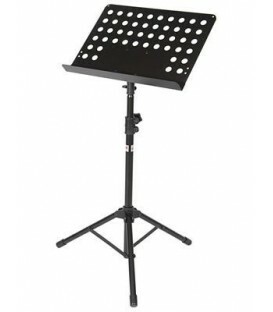 Check out our tabletop music stand for banjo tabs, books, and ipads, stageline tripod music stand, and ipad music stand mounting system with folio case. 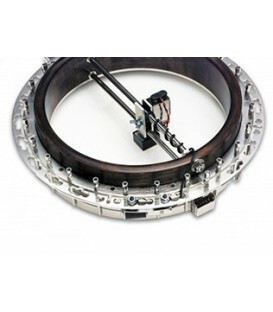 The Zero Glide Nut System is an amazing innovation that will improve the tone and playability of your instrument immediately. 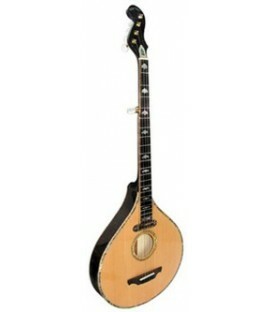 It really made a big improvement.